While gently shaking the protein fibers onto your hair provides the best coverage for larger areas, use the Dr. Yates Glass Applicator Atomizer for more precise distribution of fibers to localized areas of thinning hair. Using the appropriate technique for your specific needs will help produce the most natural-looking hair possible. The applicator can also be used to hide or minimize a prominent hair part. 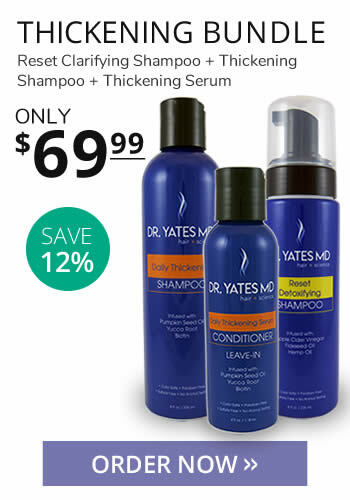 Dr. Yates Hair Thickener comes in eight shades to match nearly every hair color. The colors can be combined to create highlighted colors, or to achieve a salt-and-pepper look. Light colors should be applied before darker colors. All colors are completely safe and will not stain.